My name is Glenn Goodiel. I am the owner of Goodiel Electric, LLC. 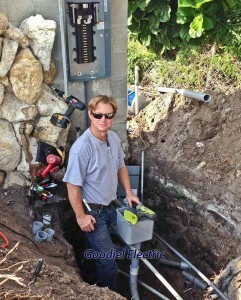 I hold an unlimited electrical contractor license as a master electrician in Florida. Over the years I have gained extensive experience in residential and commercial construction. Located on the Treasure Coast in Martin County, Goodiel Electric, LLC. offers a range of electrical contracting services to Palm Beach, Martin and St. Lucie County and to its Treasure Coast communities. 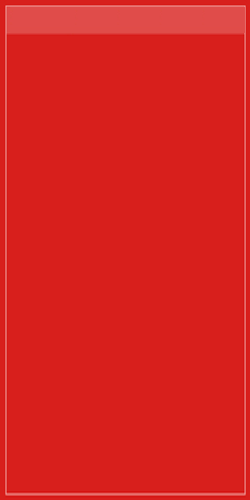 Goodiel Electric, LLC. has a long standing reputation of service excellence. I provide high quality customer care, support and electrical service at a competitive price. Call Goodiel Electric, LLC. for great value and service. 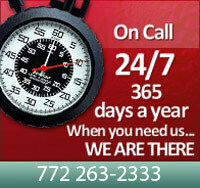 My goal is to provide my clients with electrical security and safety. I look forward to an opportunity to serve you. My areas of specialty include AC wiring, generator installation, home wire inspection, electrical service upgrades, decorative and security lighting, home electrical remodels and more. I am licensed for both internal and external projects involving both high voltage and low voltage wiring. I can help you select the proper materials for your project and job consultation is free. Work can be scheduled to your circumstances and projects are accepted for both new construction and home renovation. Whatever your remodeling needs may be, you can rest assured of my competence, professionalism, and expertise. You’ll be completely satisfied from first contact through fast, professional installation to project completion.